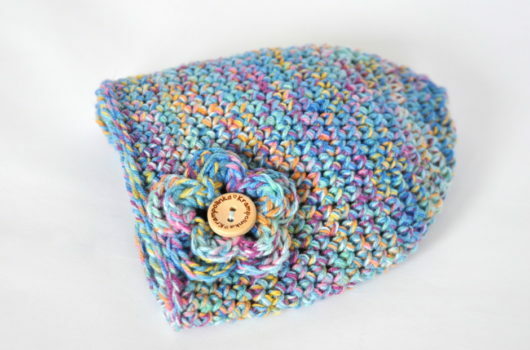 This newborn beanie is very simple and cute at the same time. Could be a fast project for the last minute visit or a surprise for a mother-to-be. 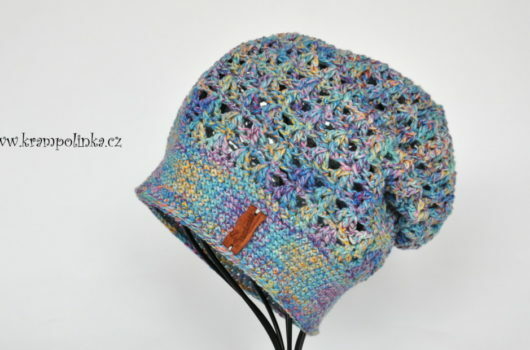 The hat pattern looks like knitting due to front post half double crochet and third back loop half double crochet stitch. So let´s try it. Each row starts with either 1 CH = Single Crochet or 2 CH = Half Double Crochet and ends with SlSt. With the use of markers you can crochet around without using SlSt. 15th row: SC around the hat (40 SC). 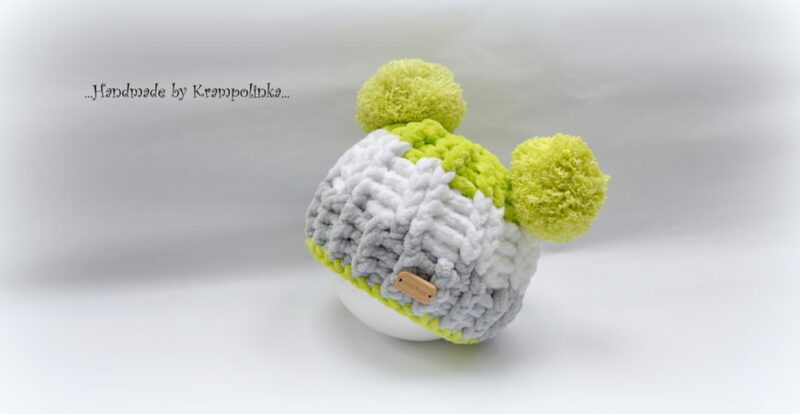 Make two pompoms and sew them to the hat. Sew the decorative button. That it is. Please click on any advertisement or share this pattern on social networks as a “thank you” for this free pattern. You can also subscribe to this website (called Odebírejte blog mailem).